List titles you want Lynn to send to you. 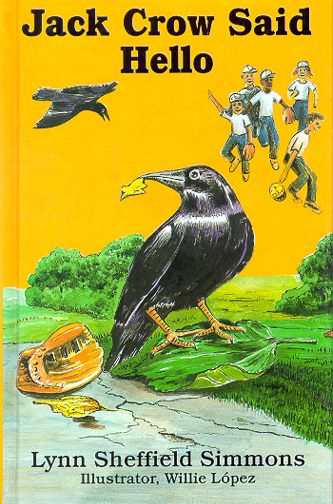 Jack Crow, the name Josh gives the crow that his grandfather brings him, is too young to fly, but when he can Josh is to return the crow to the farm. In the meantime Jack lives on Josh’s screened porch and besides taking care of the crow, Josh teaches him to say hello. 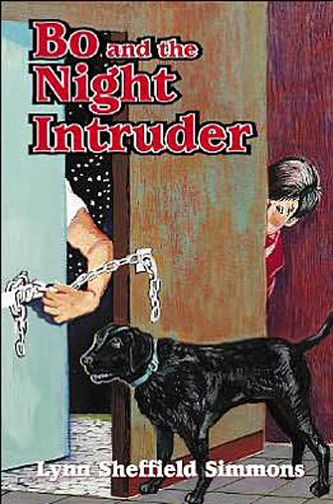 Bo, the black Labrador retriever, and Mrs. Barnett are visiting friends in Salado, Texas when Mrs. Barnett becomes the temporary manager of a gift and gourmet coffee shop called the Strawberry Patch. Just before the weekend Christmas Stroll begins, house burglaries start to happen and children’s presents disappear. 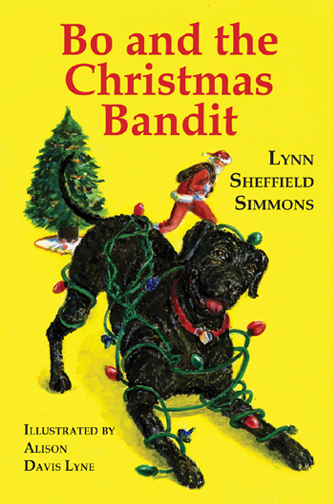 The police chief calls on Bo to use his crime solving nose to sniff out clues and it is not until Christmas Eve that the mystery is solved with a dramatic twist ending. 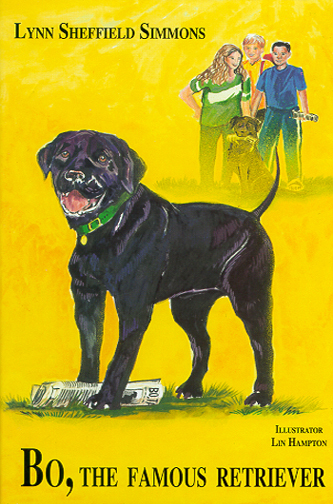 The low, rolling hills and wide-open skies of West Texas welcome Mrs. Barnett and Bo, the loveable but mischievious black Labrador retriever, to their next adventure. Mrs. Barnett looks forward to sharing the experience with her friend's twin grandchildren, Carolyn and Matthew, at a dude ranch near Sweetwater, where they will live and work just like real ranch hands. 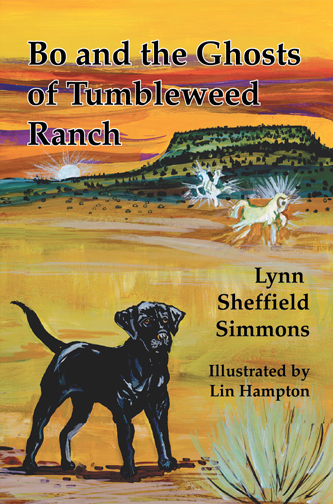 But the friendly atmosphere of Tumbleweed Ranch is suddenly shaken by the frightening appearance of what local people say are the ghosts of some original inhabitants of the land, Chief White Cloud and his medicine man. Bo's nose has another mystery to sniff out, and along the way he will have to deal other scary things, like rattlesnakes, rustlers, and...kittens? This laminated, paperback book is available at local bookstores, on the internet, and by emailing Lynn at lynn@argylebooks.com. 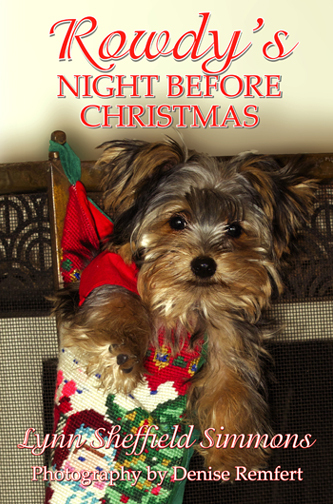 Rowdy, a Yorkshire terrier puppy, does his busy best to stay awake on Christmas Eve. Can he make it until Santa Claus arrives? 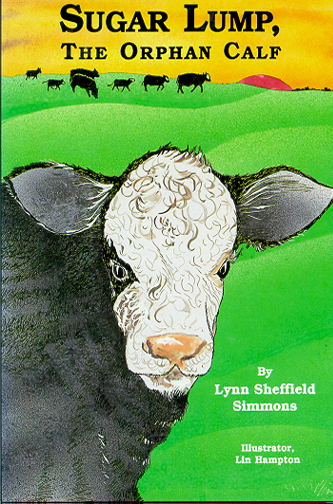 is a heart warming children's book about a newborn calf found lying all alone in the pasture by a twelve year-old girl, Marcy. Without any hesitation she takes the full responsibility of raising the little calf she names Sugar Lump. As Sugar Lump grows, he and Marcy form a strong attachment for each other and eventually, Marcy becomes involved in a suspenseful search that leads to an unexpected ending. 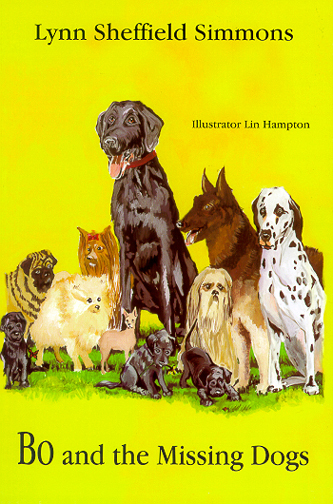 Although the story is chiefly fiction Sugar Lump’s humorous behavior is true. Sugar Lump, the Orphan Calf has been added to the Accelerated Reader program, Quiz number: 41278.
answers this frequently asked question of, “Where is Argyle” by tracing its history through historical facts and recollections of Argyle residents who were born, raised, and many still live in Argyle whose families settled in Argyle prior to Argyle becoming a town. 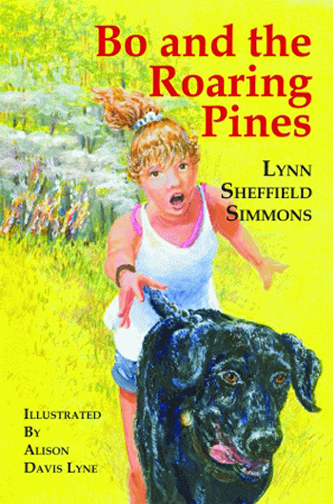 As the author leads the reader through fast paced accounts of how people lived, where they went to school, their occupations, what Argyle children did as past times, and the games they played while the reader is guided through happy times, sad times, exciting-adventurous times, and warm memories of the early days in Argyle. Bringing readers up to the twenty-first century only covers a portion of the information in The Place is Argyle. ​​Proceeds from the book sales go to Graham-Argyle Cemetery and the Argyle Seniors’ Activities Center. With its large trees and rolling hills, the small town of Argyle is nestled between the Grand Prairie and the Blackland Prairie. In the 1850s, settlers found Argyle’s natural resources perfect for growing crops and raising cattle. 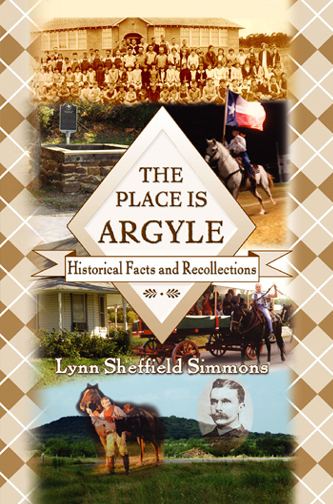 In 1881, when the Texas and Pacific Railroad built tracks through Denton County, Argyle became a town. 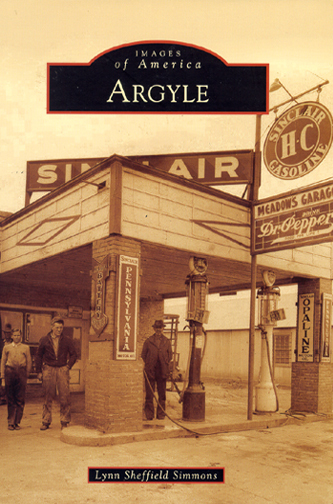 Those who led the way to bring modern conveniences and provide protection for the people of Argyle are pointed out in this book, which tracks Argyle’s history from a farming community to a modern town. Through the years, Argyle citizens have worked together to benefit the community, which has continued with local charitable organizations—the Argyle Food Pantry, the Argyle Seniors’ Activities Center, the Communities Civic League, Inc., and the Argyle Education Foundation.